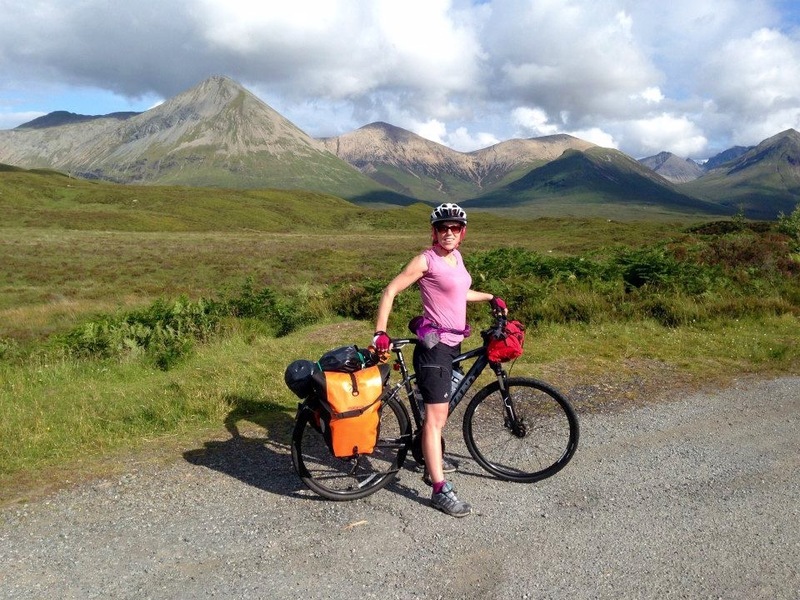 A second cycle touring trip, a second mad dash for the ferry, only worse. The lesson we never learn is accounting for caravans (and cars) driving at 30 mph. 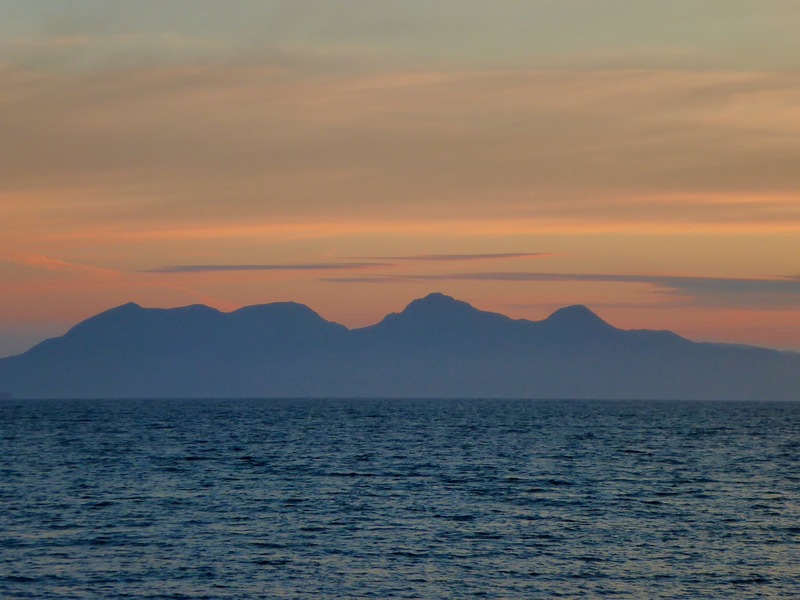 Amazingly we managed to catch the ferry after arriving in Oban after it was meant to leave. But, as soon as you get a spot on deck calmness and relaxation take over and the mad rush is forgotten. 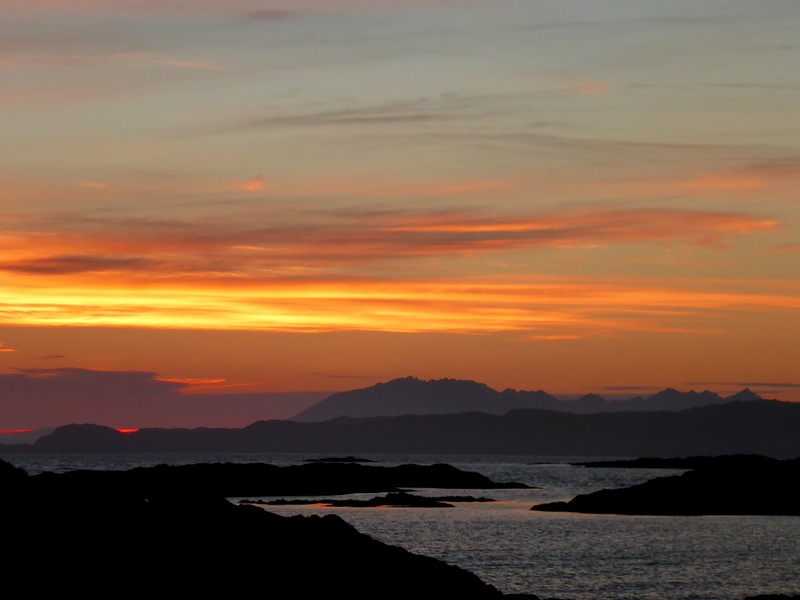 We certainly enjoyed the sun while cruising past the Ardnamurchan peninsula. 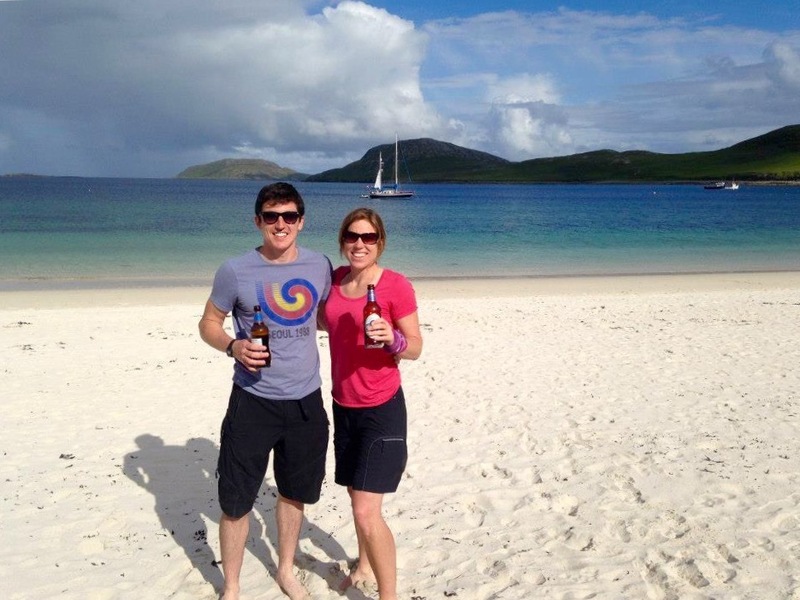 As usual, we didn’t have any plans apart from our first stop being Barra. 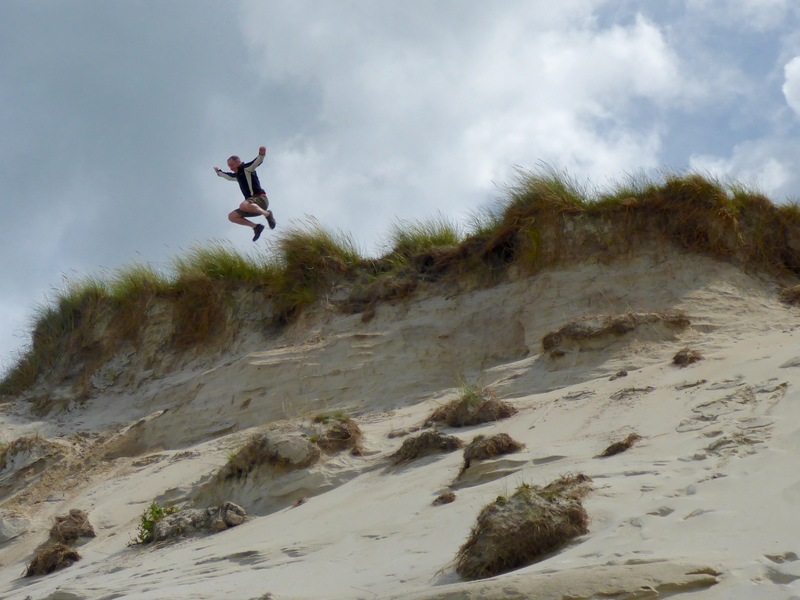 I’d heard from surfing chums about the beauty of the small island, just 23 square miles, and it didn’t disappoint. 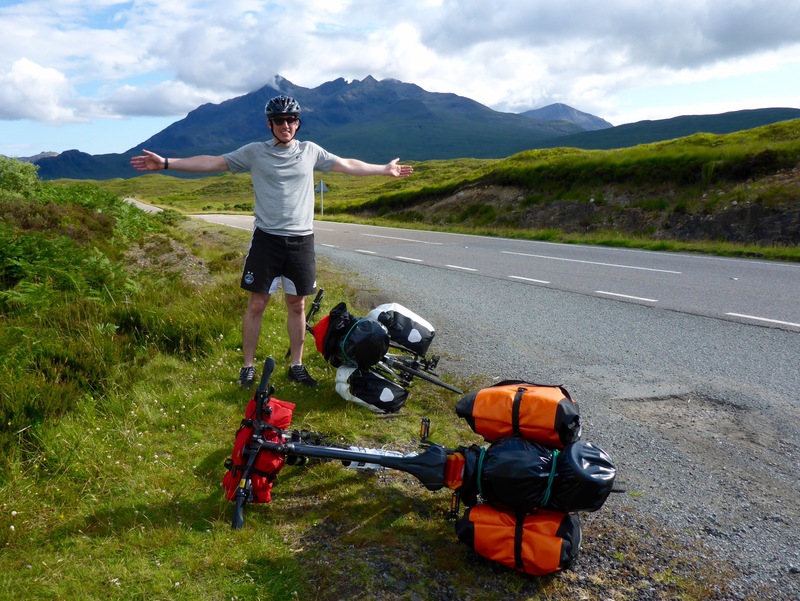 Andy showed off his mean set of wheels and packhorse style set up. He’s since earned himself the nickname Kelpie. 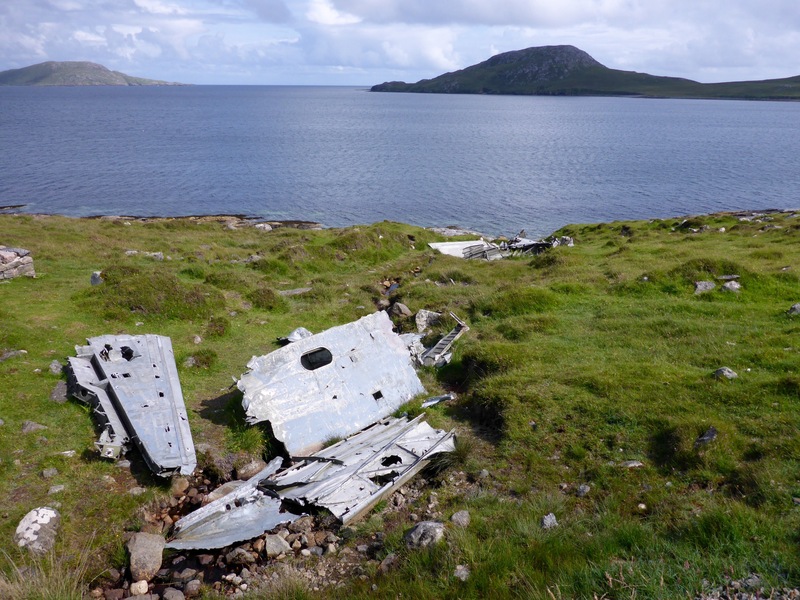 We did a wee trip south over the causeway to Vatersay, passing the plane wreck of a Catelina from WWII. This island is tiny at just 3 miles long. 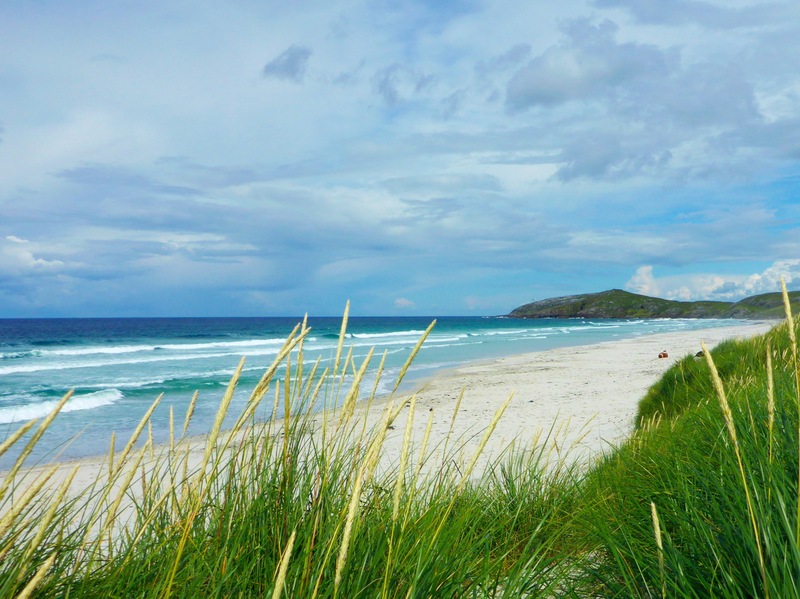 A perfect evening to start the trip with a BBQ on the beach and a dip in the turquoise water below the narrow strip of machair holding the island together. 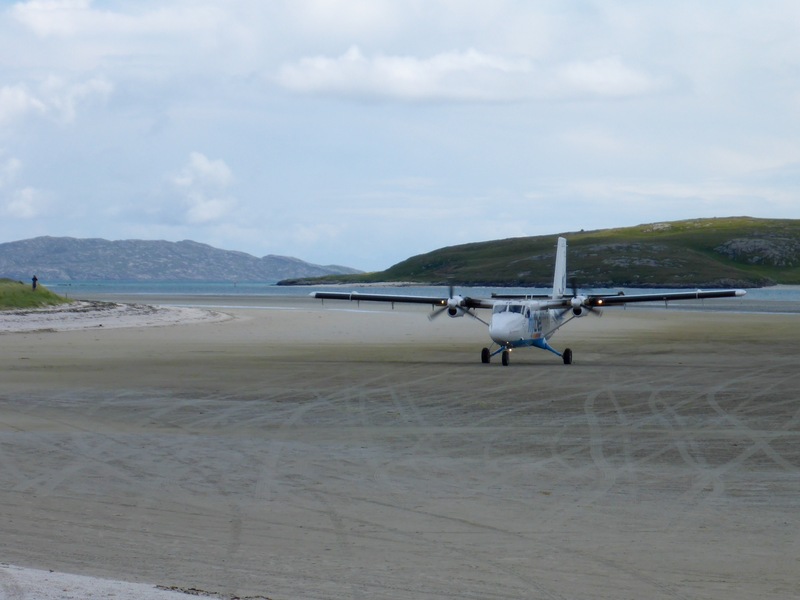 We camped near Borve in Barra and then headed up to the north tip and managed to time it perfectly to catch a plane landing on the wide bay of Traigh Mhòr; the only airport in the world where scheduled flights use the beach as a runway. The beach on the west side of the airport is stunning. 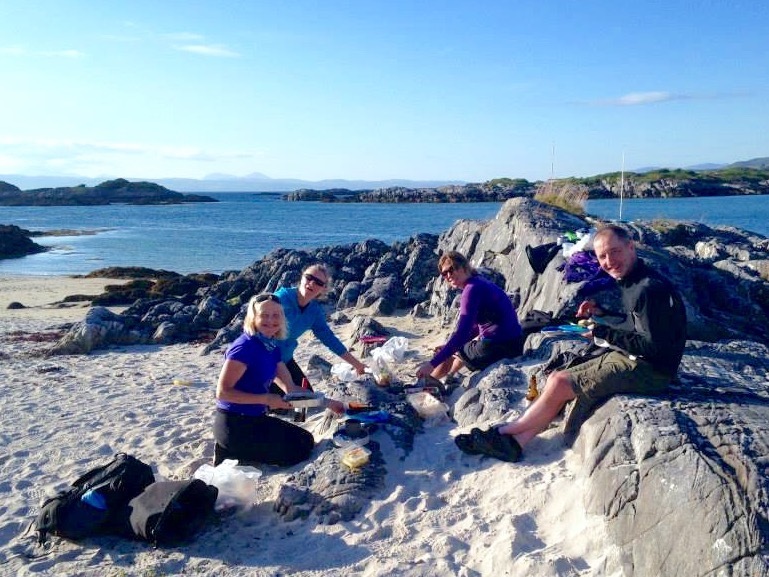 We camped near Bolnabodach and had an early start to catch the ferry across the Sound of Barra to Eriskay. Any ferry involved a near miss and this was no different! 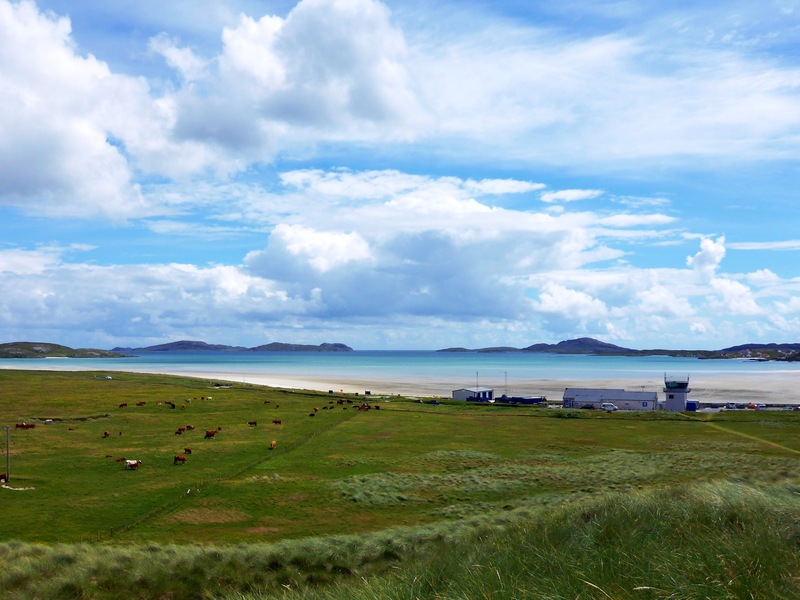 Eriskay is only 2 x 1 mile and super cute. 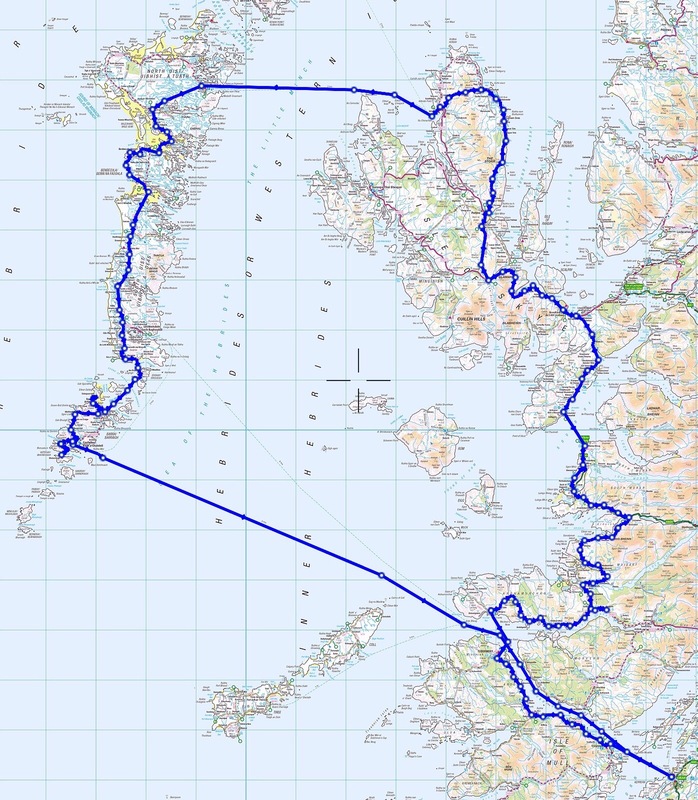 We crossed the causeway and made our way up the Uists sandwiched with Benbecula to Lochmaddy where we ended up camping on the local football pitch. 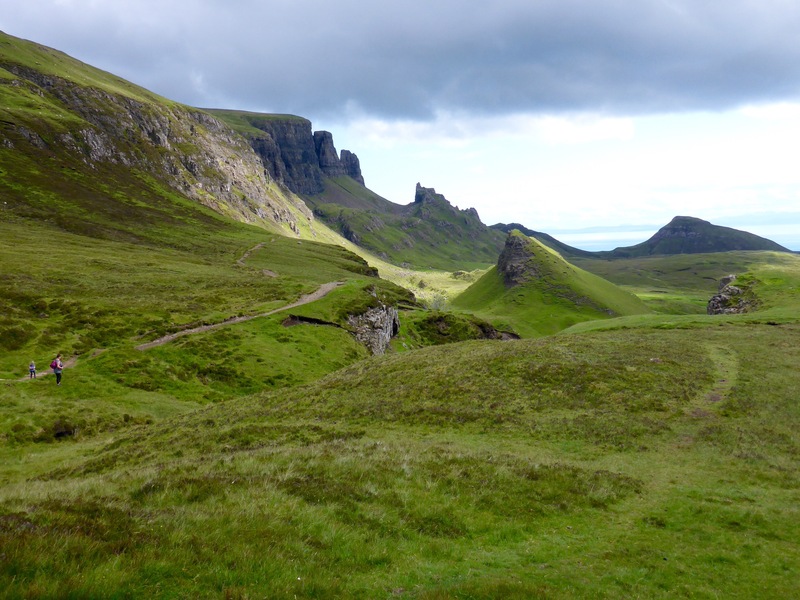 The fast and sweeping descent to Staffin Bay was worth the climb from Uig to the Quiraing. 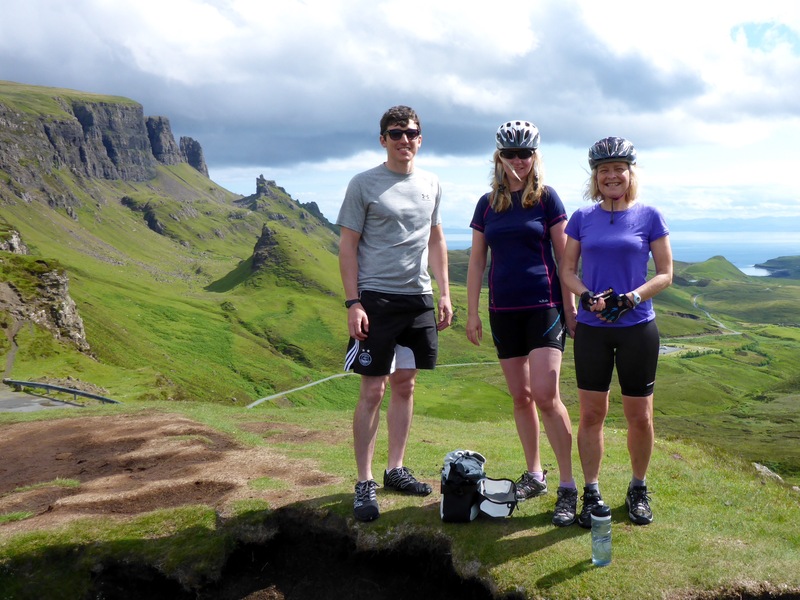 We then cycled the undulating A855 down the east coast of Skye to Portree. 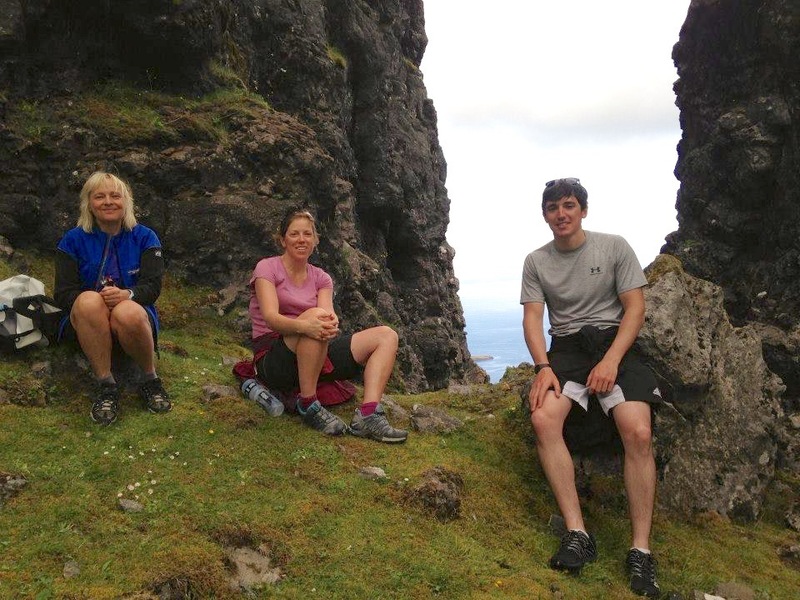 This was a tough day, especially in the heat, and we were ravenous by the time we reached Portree and glad of all the food options in Skye compared to the less populated Outer Hebrides. 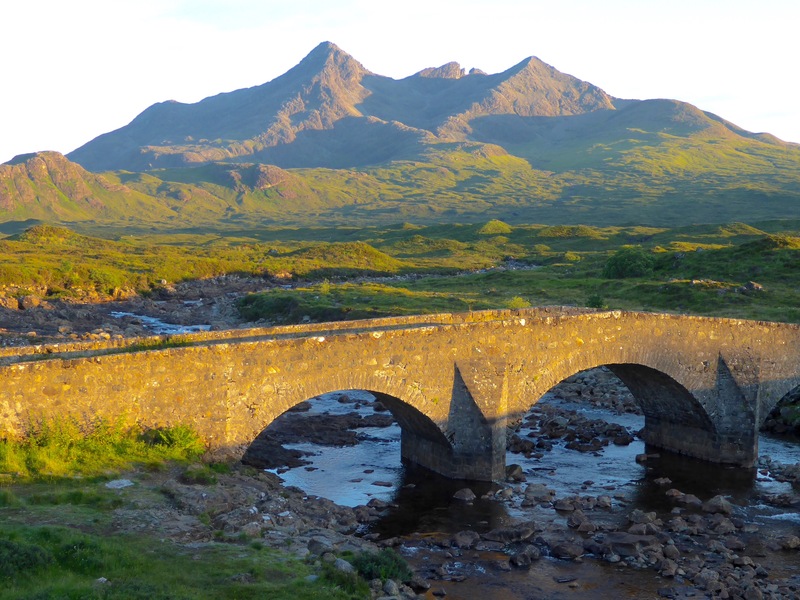 We braved the midges and camped at Sligachen but there was no hanging about in the morning when they were out in force. Definitely glad I’d gone for the extra weight and protection of my scarp tent than the tarp! 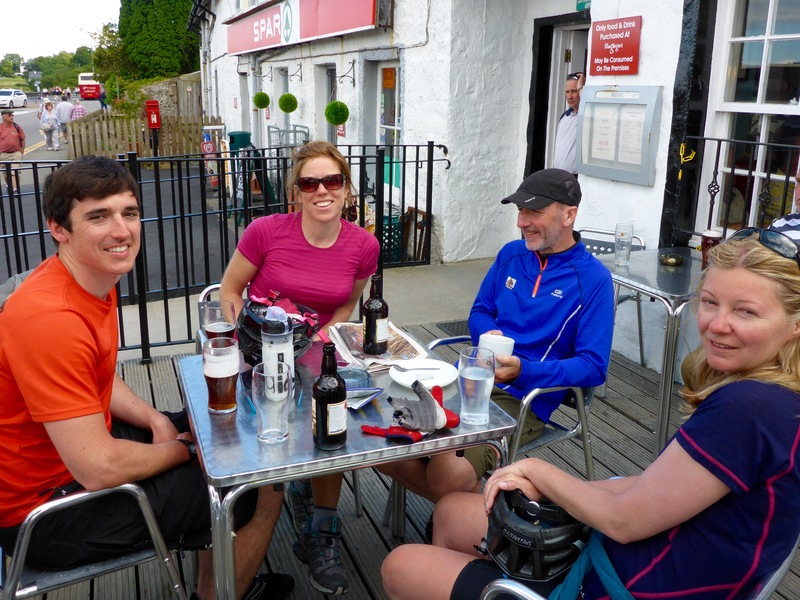 We rode to Glenuig and had lunch at the Inn. 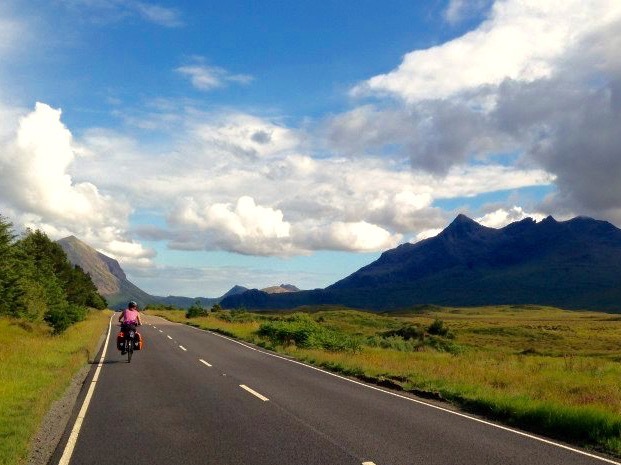 I’ve driven that road a fair few times and nothing compares with the senses you get when cycling. 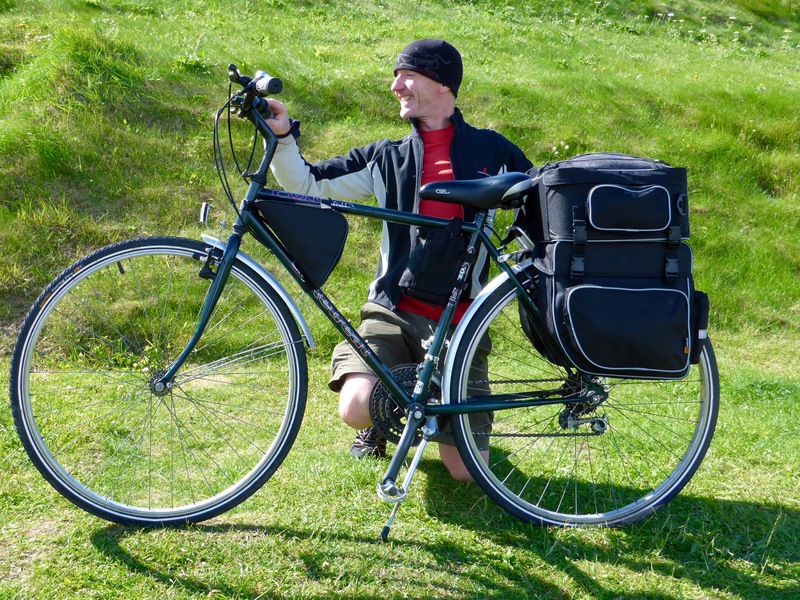 Despite being a group, cycle touring gives you a sense of freedom and solitude. After recharging we continued to Resipole with multiple ice lolly stops to help with temperature control. 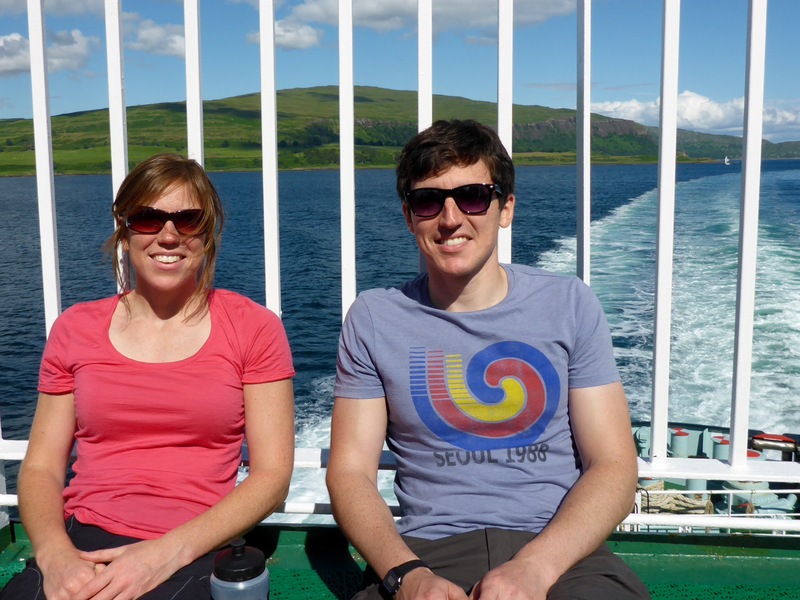 We decided to head round the Arnamurchan Peninsula to catch the ferry that goes from Kilchoan to Tobermory. Another ferry almost missed but this time due to a mechanical. Luckily some cable ties came to the rescue. 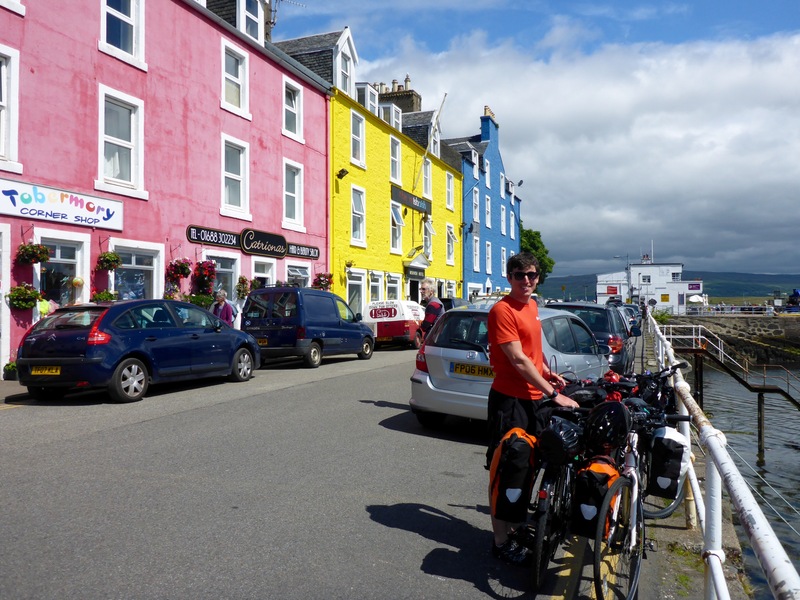 After a lunch stop in Tobermory we climbed the rediculously steep hill south and meandered our way to Craignure to catch the ferry back to Oban. 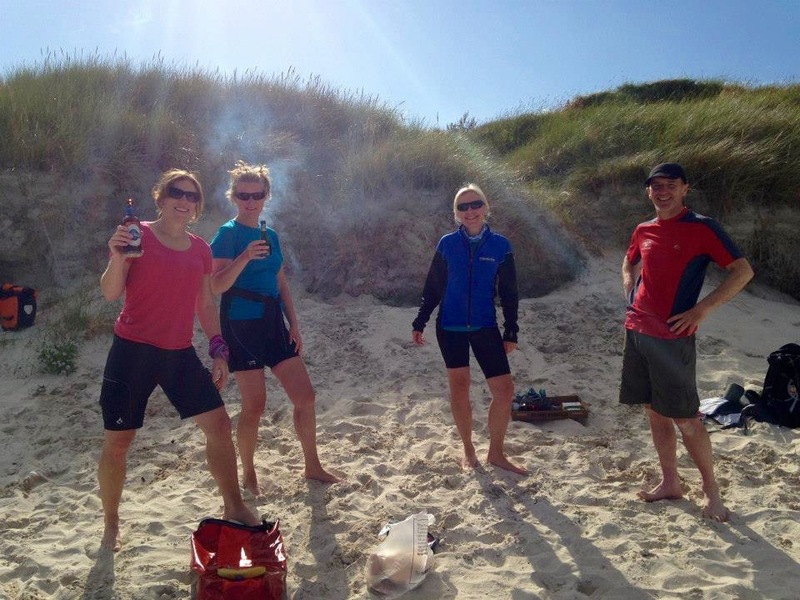 I always feel a sense of sadness on the last leg but we certainly deserved a beer! This was an amazing trip. We were blessed with the weather but it did cause some sweat issues! 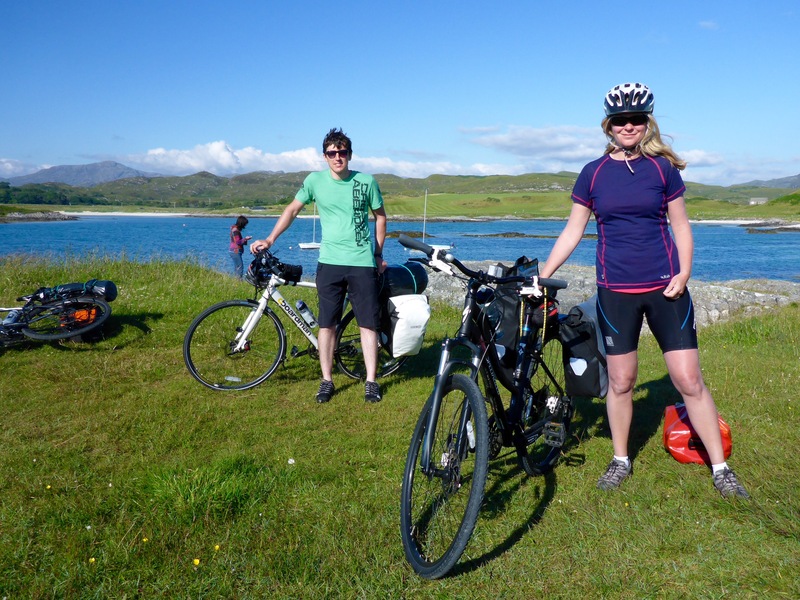 7 islands, 250 miles, stunning scenery and a whole heap of giggles. 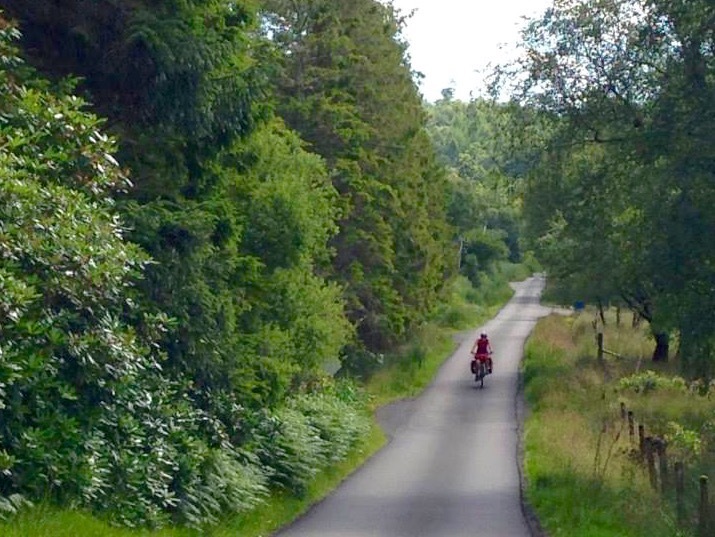 Cycle touring is such a special way to experience our landscape, flora and fauna. Get out and explore. Don’t plan, just go with the flow and whatever the weather throws at you! 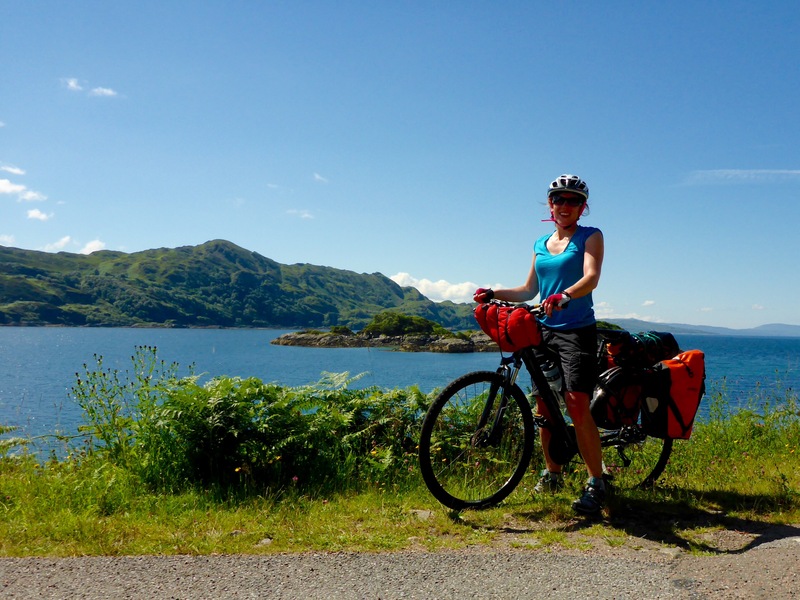 This entry was posted in Cycle touring, Outdoors and tagged Ardnamurchan, Barra, Cycle touring, Mull, Outer Hebrides, Scotland, Skye, Vatersay on 11/03/2016 by Mangoventures.